Thankfully, our Pacific Northwest climate resembles Japan’s, enabling us to become a mecca of Japanese maple cultivation. This tree is greatly valued in our region for its compact size, delicate ferny foliage and brilliant autumn colors. 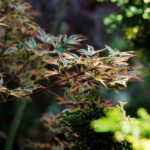 When many think of a Japanese maple, what comes to mind is the most popular variety, Acer palmatum ‘Atropurpureum.’ Its crisscrossing canopy of lacey leaves is an unforgettable sight deserving of a place of honor in the garden. Its dark purple spring foliage fades to olive-purple in summer before maturing into rich tones of scarlet. 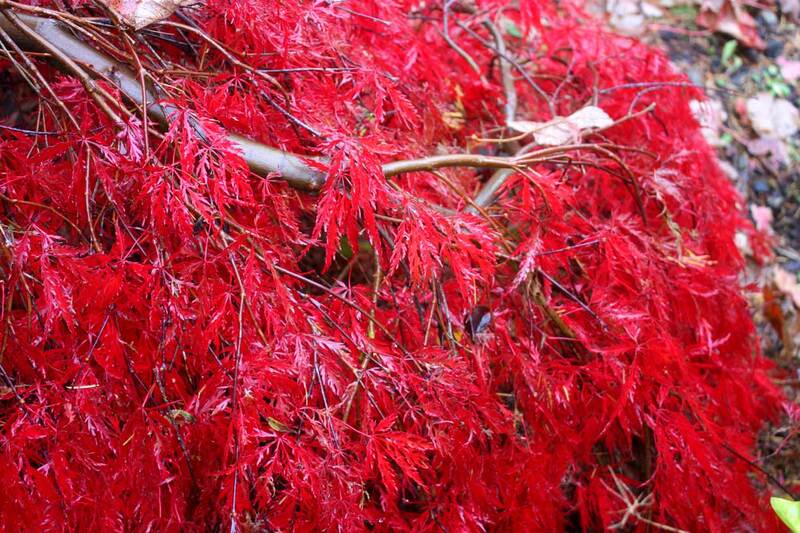 However, there are hundreds of Japanese maple cultivars to be explored. Here at Bark and Garden Center, we’ve taken a lot of the legwork out of it by stocking what we consider the best of the best; the most reliable, breathtaking performers here – or on the other side of the ocean. Here’s a sampling of the lovely Japanese maples awaiting you at Bark and Garden Center. 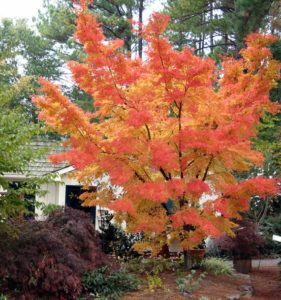 The classic ‘Bloodgood’ maple is a large variety as Japanese maples go with a pleasing canopy reaching 20 feet tall and wide. Deeply cut leaves maintain their purple-red color well through summer before turning a striking crimson-red in fall. Give this time-tested stunner part shade and moist, well-drained soil. A smaller Japanese maple tree, this showy variety offers blue-green leaves variegated in shades of pink and cream. In fall, the leaves put on a terrific show in exciting shades of orange and gold. ‘Beni Schichihenge’ gets just 8 feet tall and wide and tends to resist leaf scorch from hot, dry weather better than most. Also called coral bark maple, this is another favorite with coral red branches and twigs on display all winter. Small leaves are light green edged red in spring, turning plain green in summer and its fall color comes on in bright hues of orange, yellow and peach. Best in cool sun; narrow upright growth to 15 feet. 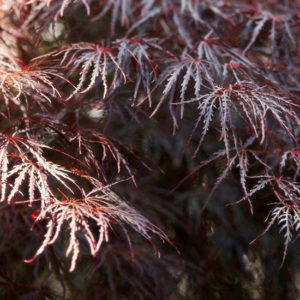 Most Japanese maples require part shade though some varieties can take full sun. All need moist, well-drained soil. Choose their location wisely and provide plenty of breathing room between it and other trees. As the saying goes, “For a $5 plant, dig a $10 hole.” Dig a generous hole, make sure the tree’s roots are spread out naturally and have someone hold the tree at the proper level as you fill it in. Plant it at the same depth it was in its container. 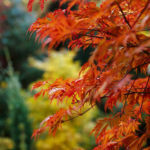 This is a great time to plant trees and our new collection of Japanese maples won’t disappoint. Of course, we sell many other wonderful landscape trees, too! After consulting with our friendly, knowledgeable staff, read your plant tags. These are mini encyclopedias on each plant or tree you purchase and should never be tossed out with the plastic pot!